WHEN: Aug 7- 24, 2010. Opening Reception: Saturday, Aug 7, 6-9 p.m.
“Trajectory” is presented by Ro2 Art at ThirdSpace, benefiting Dallas Public Arts Project. Ryder Richards’ new drawings, installations, and sculptures are derived from the ballistic trajectory of a .243 Winchester rifle. The works explore the physical and metaphorical quandary of a trajectory as a quantified destiny, attempting to alter the predetermined path. The works will be on view August 7th through the 28th, 2010. Please join us for the opening receptions Saturday, August 7, 6-9 p.m. The exhibition features a large antelope head, drawn in gunpowder and gold leaf, presenting itself as deity and target amidst the trajectories. The antelope offers a focal point for assigning possibilities of value and/or hope within the context of the exhibition. Richards, the gallery coordinator at Richland College, Dallas, will also display works from his most recent artist-in-residence in Portales, NM where he focused on the symbiotic system between the city and local air force base. 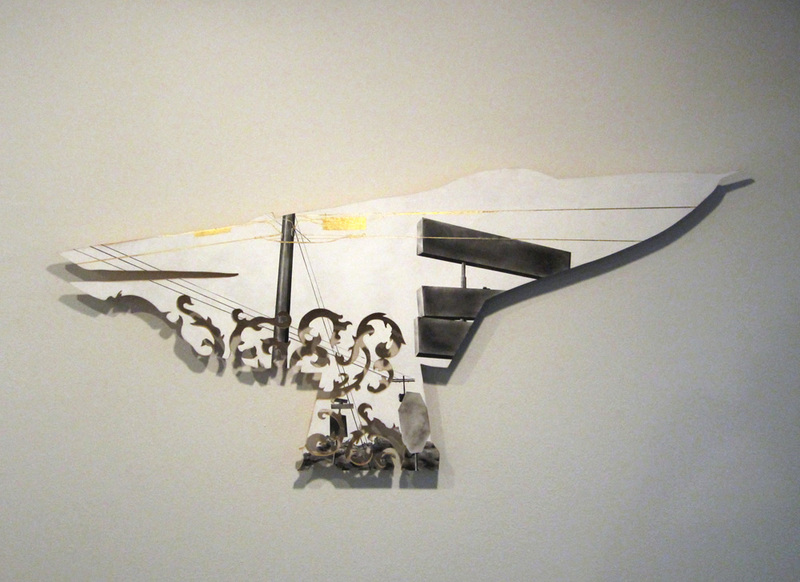 The art displays a portrait of the isolation, industrial aspect and the static notion of escape represented by a large F-111 fighter plane anchored to the highway median at the entrance of the city.